Interestingly, unlike the first teaser trailer which focused much more on Holmes’ weakening mental state, this longer trailer features a bit more about what it means to be a legend that’s gotten older. We see Holmes working on a memoir about his life, attempting to correct the misconceptions about him that persist thanks to Watson’s stories, and retelling the story of a case from thirty years prior. This trailer almost makes me feel like this movie isn’t going to be a complete emotional trainwreck for me, but then I realize that’s probably some sort of fake-out-on-purpose and we should all pack a boat load of Kleenex anyway. This just doesn’t seem like the kind of film that’s going to end happily to me. 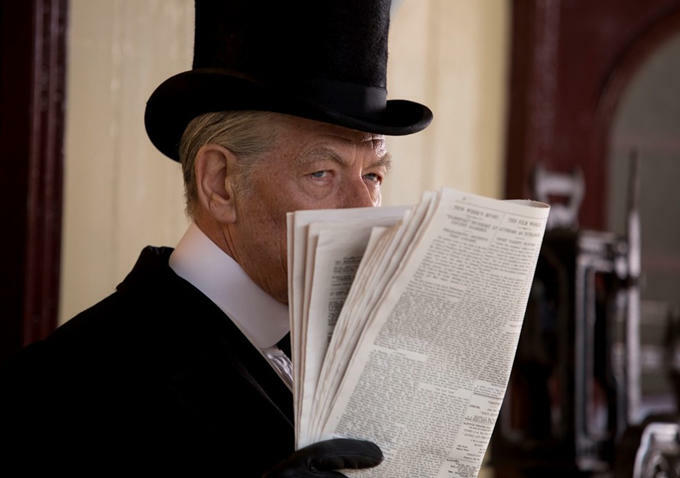 Mr. Holmes is slated to hit US theaters on July 17.